While there have been new cases released for the iPhone XS and iPhone XS Max that offer a touch of color to the devices, the leather, silicone, and folio-style accessories not only cover up the majority of the iPhone, but also do so with opaque materials. So far, the case situation is relatively unknown for Apple's other smartphone release, the iPhone XR, but it seems Apple may offer something different for that model. Spotted by Twitter user "Ivan," Apple's press release for the iPhone XR in Canada includes a brief sentence on accessories for the smartphone. Similar press releases for the iPhone XR in the United States and the United Kingdom do not include the section, but versions for France and Germany do. The extract reads: "Apple-designed accessories for the iPhone XR including a clear case will be available starting at $55 (CAD)" ($42). 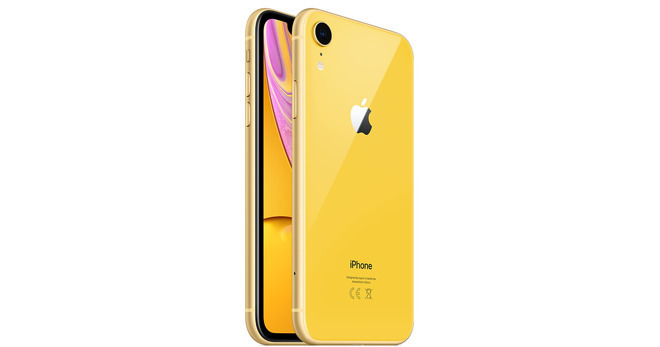 The french and german counterparts claim the range will start from 39 euro and 45 euro ($45 and $51 respectively), though it is unclear if this price refers to the clear case specifically or for the lowest-cost accessory in the official iPhone XR range. For reference, the silicone cases for the iPhone XS cost $39 as the cheapest accessory in the collection, while the highest-priced is the iPhone XS Max leather folio at $129. The addition of a clear option may be welcome by potential iPhone XR owners who wish to show off the bright coloring of the model. The iPhone XR will ship in six new finishes, including white, black, blue, yellow, coral, and (PRODUCT) RED variants. Apple will commence pre-orders for the iPhone XR from October 19 in more than 50 countries, with availability starting from October 26. It is almost certain that whatever accessories will be offered for the iPhone XR will be available at launch.